As a blogger, occasionally I am lucky enough to receive products for review from companies or to collaborate on different campaigns and projects. All of the reviews on this blog are 100% my opinion and honest thoughts, and they are not influenced by the company or any other outside influence that I may be working with. 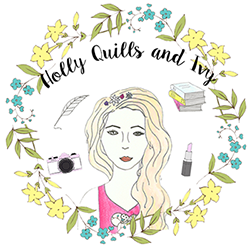 I cannot guarantee that every product will be featured on my blog, however if I believe it fits in with my blog, the content I create and what I would enjoy telling my readers about then I am happy to work with the company on reviewing/promoting their product.